Synopsis: Selfish yuppie Charlie Babbitt’s father left a fortune to his savant brother Raymond and a pittance to Charlie; they travel cross-country. 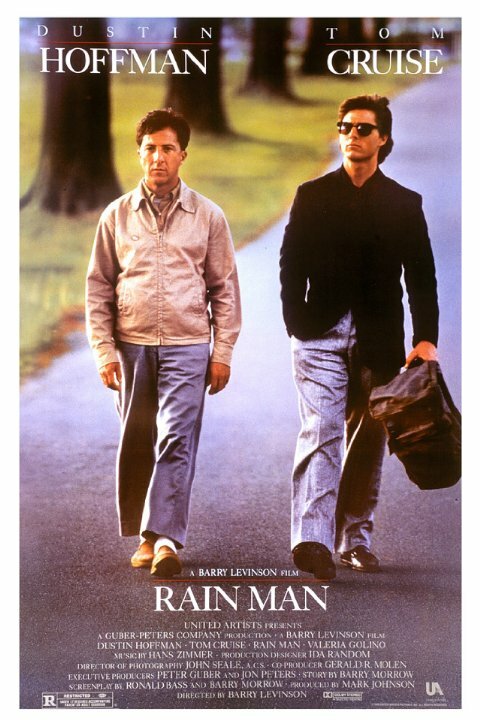 Rain Man is one of my favourite Oscar winners from the 80s. Dustin Hoffman is incredible, and even Tom Cruise is pretty good. He starts out as a horrible yuppie whom you just want to punch in the face, but he quickly grows affectionate for his brother and cares for him in a way that he’s never cared for anyone else. Hoffman and Cruise have excellent chemistry.